At 52° 37’ 10” W, Cape Spear is the most easterly point in North America, excluding Greenland. It is where the day’s first light arrives on this continent. 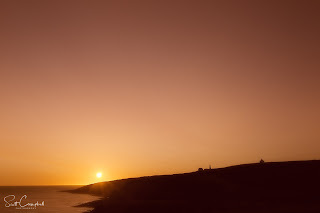 The Portuguese called the area Cabo da Esperança, which means "Cape of Hope". The French translated the name literally to Cap d'Espoir. The English didn’t bother to translate the name and just used an Anglicised version Cape Spear. The second lighthouse ever built in Newfoundland was constructed here at Cape Spear. Finished in 1836, the “old light” is still there today, although it is not in use. 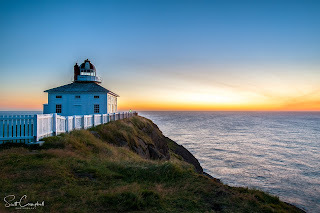 It was replaced as an operational lighthouse in 1955, and the “new light” is still operating, just down the hill from the old light. In 1983, the Newfoundland Government commissioned visual artist David Blackwood to do a piece for Prince Charles and Princess Diana. 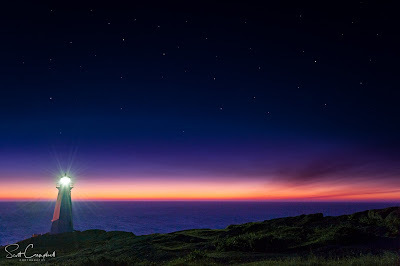 Blackwood used the old light at Cape Spear as his subject, and I loved his treatment of it so much that I was inspired to explore Cape Spear myself many times while living in Newfoundland, and something I continue to do on every visit home. Sunrise is a magical time for me, as both a morning person and a photographer. The first light brings the promise of the day, like a blank sheet of paper waiting to be written on. I feel like anything is possible at that hour. First light at Cape Spear means the day is breaking for the entire continent and I wonder what remarkable achievements the day will bring from all the people “behind” me. The Lights change their moods rapidly with the ever-changing dawn light. 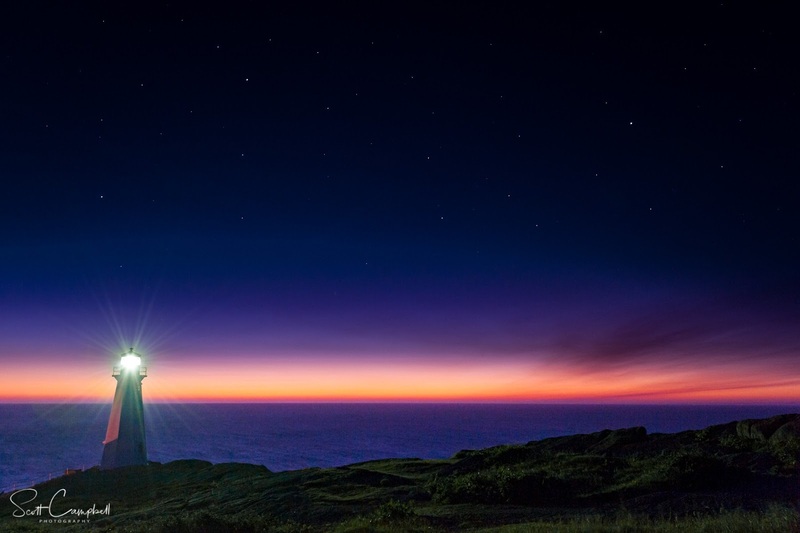 Sunset does not have the same impact at Cape Spear, as the land faces east and not west, but nighttime can be magical if the sky is clear. Comets, meteors, stars, and satellites can all be seen with the unaided eye, and add a dimension to a photograph that is not possible to achieve during the day. I have visited Cape Spear many times over the years and have created a collection of images from these visits. 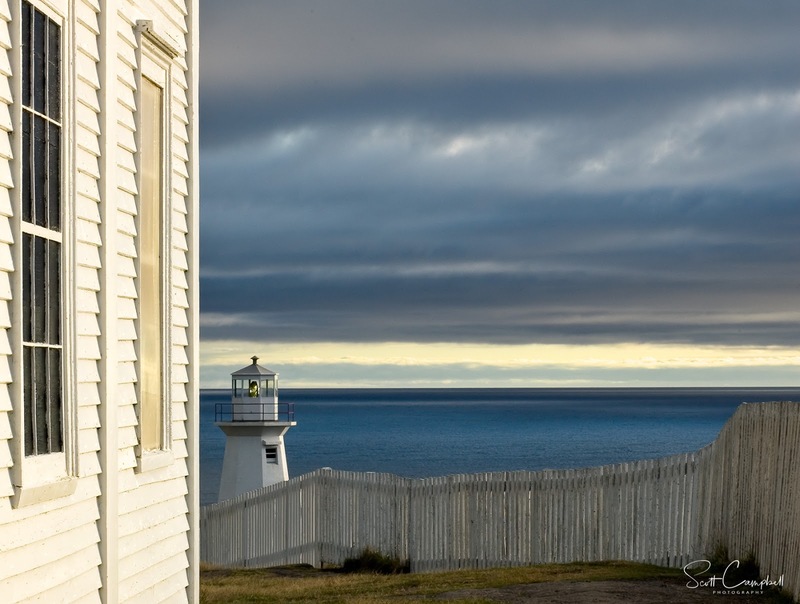 The images mark the range of the differences in the light that can paint the area, and I hope they inspire you to one day visit Cape Spear. My images are available for purchase from my online store.